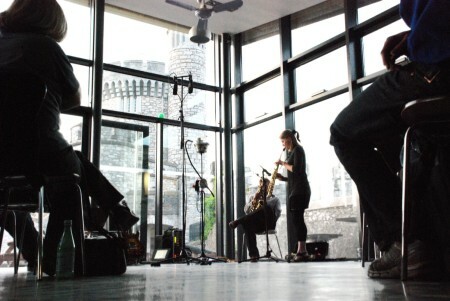 This entry was posted in performance and tagged 2013, Arts Council of Ireland, Blackrock Castle Observatory, Bruce Coates, François Couture, Franziska Schroeder, Han-earl Park, io 0.0.1 beta++, Monsieur Délire, MusicZoom, performance, Sara Roberts, Slam Productions, SLAMCD 531, Stephanie Hough, Vittorio. Bookmark the permalink. Post a comment or leave a trackback: Trackback URL.